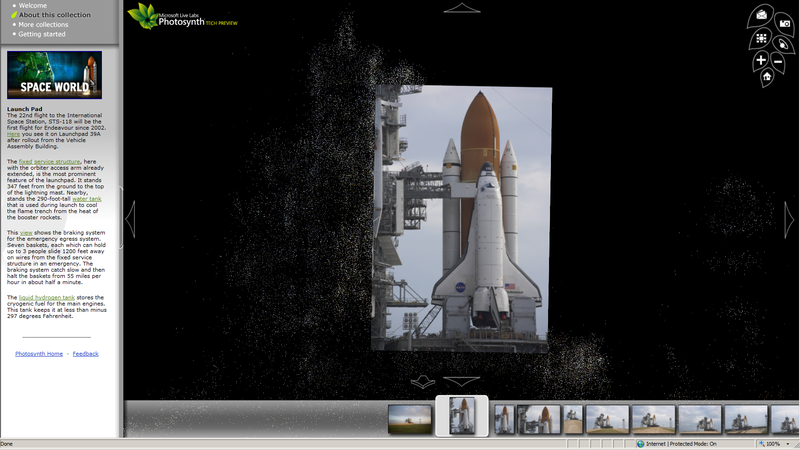 I’m a big fan of all the 3D imaging tools in development around the net. Microsoft’s Photosynth project is clearly the most ambitious – it takes thousands of photographs of a geographic area and constructs a 3D model that the viewer can “fly” around and view. 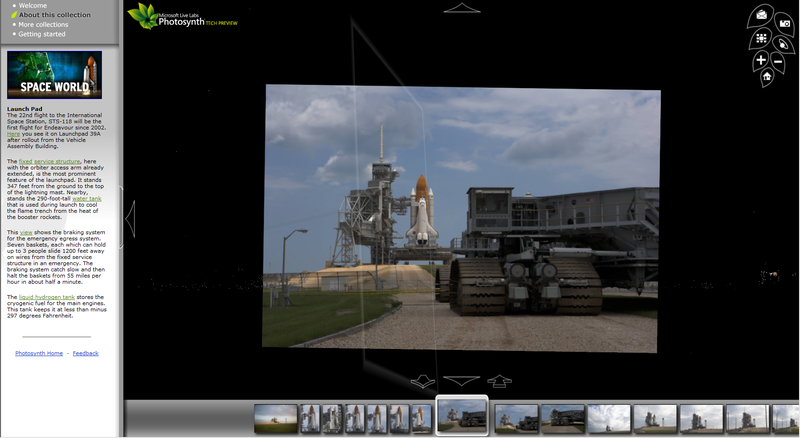 Tonight they are pushing a new 3D model – coverage of the Space Shuttle Endeavour on the launch pad at the Kennedy Space Center in Florida before launch. If you are on a Windows machine only, you can view it here. Click and drag the mouse, zoom in and out, etc. There are other interesting projects as well – see our coverage of Everyscape, Fotowoosh and VisualSize. See also Microsoft Street Side and Virtual Earth as well as similar efforts from Google, which should eventually incorporate a lot of this stuff into one big interactive virtual world.